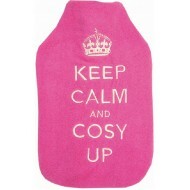 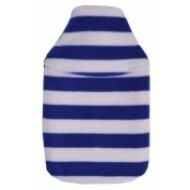 Classic blue striped fleece hot water bottle with back opening to tuck the bottle inside or for fill..
Keep calm and cosy up hot water bottle in hot pink fleece with slogan embroidered in white. 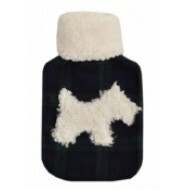 Quali..
Silhouette Scottie Dog designed with cream fluffy silhouette scottie dog motif on soft, dark ta.. 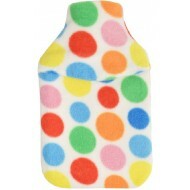 Spotty colourful fleece hot water bottle with back opening to tuck the bottle inside or to fill..